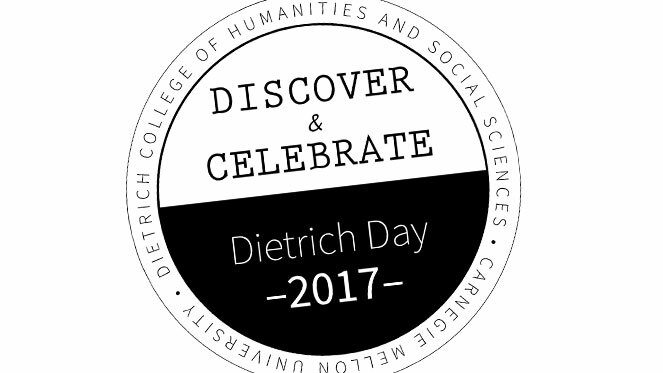 The Dietrich College of Humanities and Social Sciences will host Dietrich Day on Thursday, March 23. The daylong event will begin with Discover Dietrich from 11:30 a.m. – 12:30 p.m. in Baker Hall’s Coffee Lounge. Open to the entire campus community, all of Dietrich College’s academic departments, in addition to the Humanities Scholars Program (HSP) and Quantitative Social Science Scholars (QSSS) Program will be on hand with project poster presentations on projects from faculty and students and information about upcoming courses, majors and minors. There will also be refreshments and a chance to win a prize from the CMU bookstore for any student who attends. Dietrich Day will culminate in the afternoon with Celebrate Dietrich. Dietrich College students, faculty and staff will enjoy food and games on the CFA Lawn from 2:30 p.m. – 4:30 p.m. Activities will range from a nacho bar to a photo booth and oversized board games. There will be a chance at prizes for students and giveaways for all who attend. In case of inclement weather, Celebrate Dietrich will take place in the lower level of Baker Hall. Anyone attending Dietrich Day events is encouraged to share photos on social media using the #CMUDietrich hashtag.